Anger is a very stressful habit. Yuppers, it's a habit. I would even go as far as to say that it is an addiction, a very contagious addiction. What I mean by addiction is that it is something that is a negative influence and you cannot quit it. What I mean by contagious addiction is that an angry environment, like a work place, can create and increase other peoples anger. For example, a fire house, or an emergency room, or just being in an ambulance with an angry person. Also, a corporate or office environment can generate anger in individuals. Any negative emotion creates unhealthy shifts in your body and releases bad hormones. That is why people get sick. I have no idea! Just kidding. Counting to ten is a good one, just kidding. Once upon a time, a long long time ago, I worked on an ambulance with a very very angry person. He was so angry that it radiated to me and I started to get angry. This is way before I started researching and writing about stress relief. Thank goodness I didn't work with this guy for long. Any who, looking back I recognized that I was angry, a lot, and for no reason. After I started to notice this, I remember when I would get angry, I would ask myself, "why am I so angry?" Right in the middle of the anger and then I would talk myself out of the anger. I would say, "you are getting angry for no reason, Elizabeth." After doing that for a while, every time I got angry, the anger went away. Sure, I still got angry, sometimes, but not the kind that was ridiculous, lol. 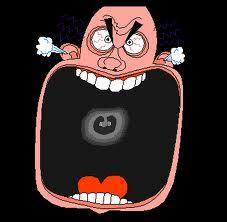 If you have an anger problem know two things, know that it is not okay and know that you can eliminate it. Say to yourself, "Anger is not okay and I don't get angry." I know, it sounds silly, but it will work. Then you can do what I did and talk yourself out of it, or you can do something even funnier. You can start to sing a song, a funny song, like a rap or something. This will work, I promise, it will make you laugh and you will eliminate the stressful habit of anger and replace it with the successful practice of laughter.